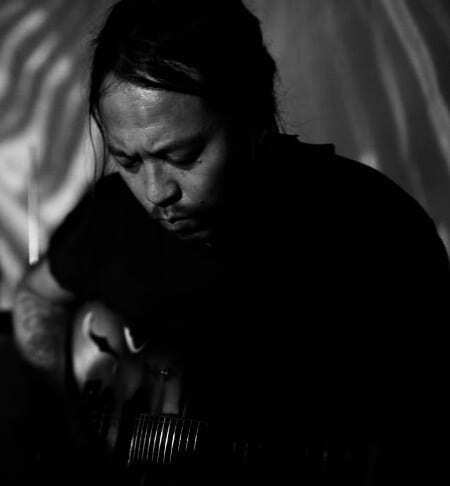 Tashi Dorji is a celebrated free-form/improvisational guitarist. Born and raised in Bhutan, but transplanted to Ashville, NC in the early 2000’s. He is a musical force that is in a caliber of his own. The amount of originality in his playing could have only been summoned when one is forced to confront limitations and raise a big middle finger to the ‘status quo’. He is known to focus his attention heavily on tonal qualities over melody. Mellow harmonics that integrate interference of seemingly random items (such as a paperclip) turn into aggressive spasms and abrupt stops. He utilizes the silence and space between the notes, as if it is an instrument itself. Tashi’s latest album but a night that ends, as all nights end, when the sun rises is pieced together in a non-linear/non-hierarchical form. Every segment equal part fragile and intense. The album feels like it is addressing a dark political climate but from an anti-establishment perspective. It is a transmission from another dimension, to let us know we aren’t doing this “humanity thing” right. However, in its confrontation, it still arouses hope for a brighter future.